Let us give you a sneak peak of Concert 120, our another brand-new High-End monitor loudspeaker, which we will first introduce to the Public at Halle 1, A05 at High End Munich. Concert 120 is like those movie actresses from the Golden Era at the beginning of the last century: classy, elegant and delicate with a very strong character. Even played at 2-5 Watts, Concert 120 speaks to you and touches you so deeply that you will never forget its sound. If you visitied us last year, you could remember Concert 300, which was a very masculine, inimitable monumental sound monitor. Concert 120 has become its smaller, feminine pair and they sound beautifully together in home theater systems too. Interested in her? 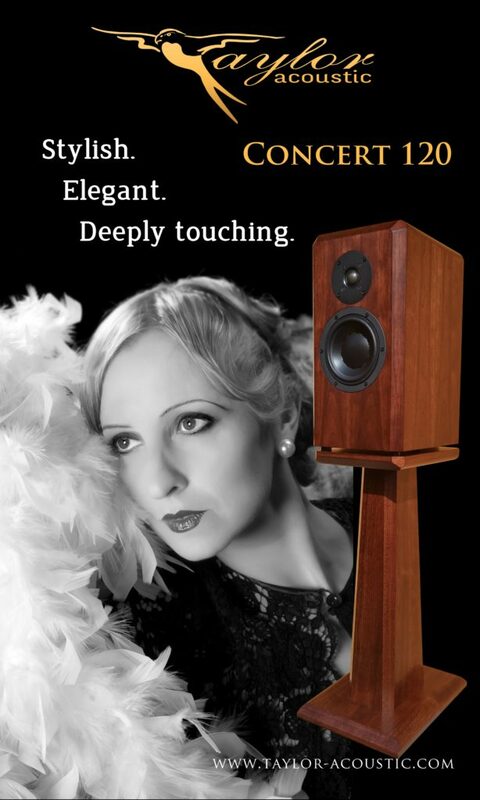 Visit us at Halle 1, A05 and let Concert 120 carry you away with her sound! You can find the technical details of Concert 120 here.